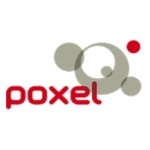 LYON, France–(BUSINESS WIRE)–POXEL SA (Euronext – POXEL – FR0012432516), a biopharmaceutical company focused on the development of innovative treatments for metabolic disorders, including type 2 diabetes and non-alcoholic steatohepatitis (NASH), today announced its cash position and revenue for the fourth quarter and the twelve months ended December 31, 2018. As of December 31, 2018, cash and cash equivalents were EUR 66.7 million (USD 76.4 million). Poxel reported revenues of EUR 19.6 million for the quarter ended December 31, 2018 and EUR 74.6 million for the twelve months ended December 31, 2018 compared with revenues of EUR 5.3 million during the same period in 2017. The revenue reflects a portion of the EUR 36 million upfront payment received from Sumitomo Dainippon Pharma relating to the strategic corporate partnership announced on October 30, 2017 and the USD 35 million (EUR 28 million) upfront payment associated with the corporate partnership announced with Roivant Sciences on February 12, 2018, net of Poxel’s financial contribution to Roivant. In addition, the revenue also reflects the Imeglimin Phase 3 program costs in Japan incurred during the twelve months ended December 31, 2018 that were re-invoiced to Sumitomo Dainippon Pharma. Both the upfront payment from Sumitomo Dainippon Pharma and re-invoiced costs of the Phase 3 Trials of IMeglimin for Efficacy and Safety (TIMES) program are recognized according to the percentage of completion for this program. “I am very pleased to report that we made substantial progress advancing the Company in 2018. Our significant accomplishments include signing an agreement with Roivant Sciences for Imeglimin in the US, Europe and the rest of the world not covered in the agreement with Sumitomo Dainippon Pharma, fully enrolling all three Imeglimin Phase 3 TIMES trials with over 1,100 patients in Japan, advancing PXL770 for the treatment of NASH and acquiring PXL065, a second clinical-stage program for the treatment of NASH,” said Thomas Kuhn, CEO of Poxel. TIMES 2: A Phase 3, 52-week, open-label, parallel-group study to assess the long-term safety and efficacy of Imeglimin in Japanese patients with type 2 diabetes. In this study, Imeglimin will be administrated orally as a monotherapy or combination therapy with existing hypoglycemic agents, including a DPP4 inhibitor, SGLT2 inhibitor, biguanide, sulphonylurea and GLP1 receptor agonist.